Every holiday I like to make themed baked goods. Since I usually end up making thee for my students at school they are semi-homemade. It’s not that I don’t think the kids wouldn’t like my homemade baked goods, it’s just that they care more about the decorations then how the desserts taste. This year I made a box of chocolate cupcakes. I baked them according to the package directions and ended up with 24 of them. While you can use canned frosting for these I do prefer to make my own frosting. 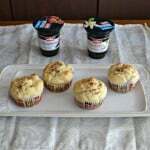 I just like the taste and consistency of my own frosting better then the canned stuff. 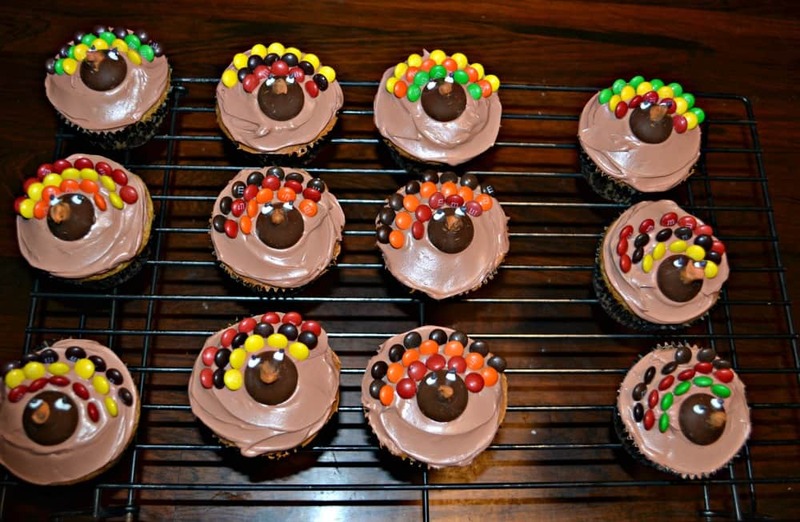 These Turkey Cupcakes are easy to decorate and they turned out really cute. 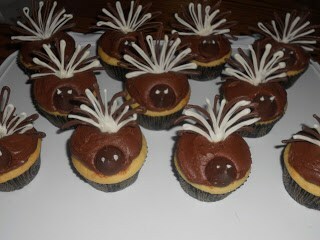 After the cupcakes have cooled simply frost them with brown frosting to make them look like a turkey. Then you need to put the decorations on quickly before the frosting hardens. The beak and face are made out of a chocolate kiss. I used a little bit of orange candy melts to put on the end of it for the beak. Then I used white and black candy melts to make the eyes. If I could have found candy eyes I would have just used those but there weren’t any around here. I usually get them at the cake decorating store in Pittsburgh when I’m home. 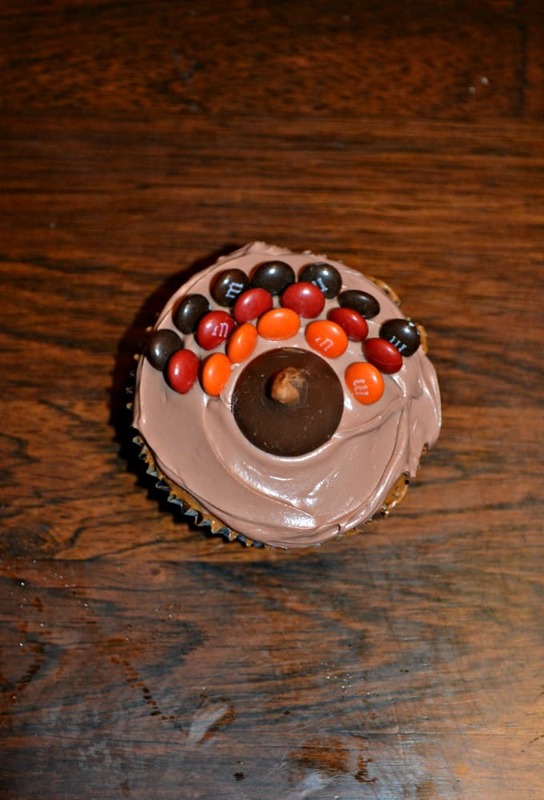 The cupcakes are finished off with mini M&M’s for the feathers. They are super cute and didn’t take very long to make. They would be great for kids to help with and next year I think I might have the students decorate them by themselves. I think they’ll enjoy it and it’ll be fun for them! 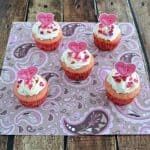 These fun turkey cupcakes are made with a boxed cake mix and fun decorations that the kids can help with! Frost the chocolate cupcakes with the brown frosting. Place the orange candy melts in a small microwave safe bowl. Heat in 20 second intervals, stirring after each interval, until melted. Dip the point of each chocolate kiss in the orange candy and then place in the middle of the cupcake with the point sticking out. Place the candy eyes right above the chocolate kiss (or use white and black candy melts). Separate the mini M&M's by color. 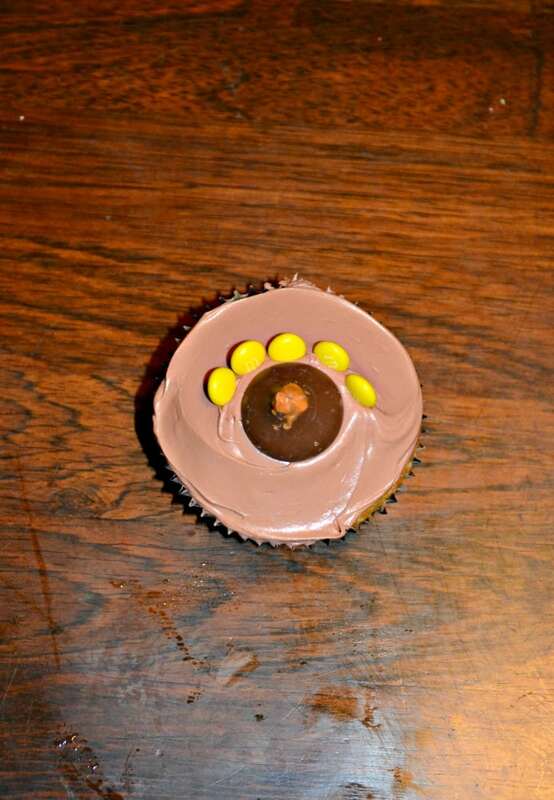 Place one color in a half circle around the outside of the cupcake. Choose another color and make a smaller half circle underneath the first circle. Choose a third color and make one more half circle. 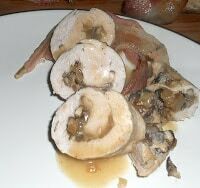 These will look like the feathers of the turkey. « 5 Travel Tips for the Holidays + Giant Eagle Fuel Perks Program! These are super cute. Will look into making them for November.